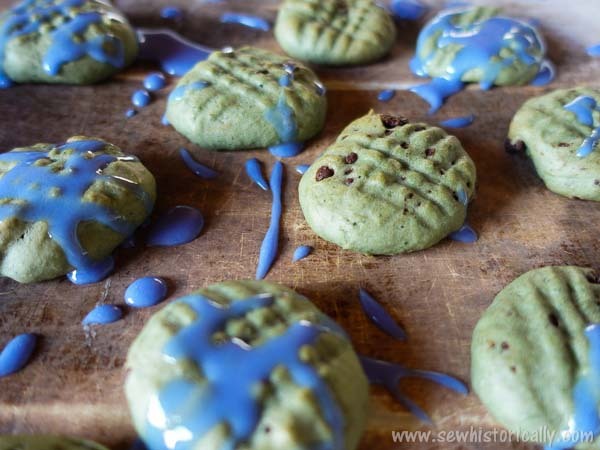 These delicious mint chocolate chip cookies are naturally green. 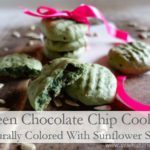 The cookies are naturally colored with sunflower seeds! Sunflower seeds turn green in an alkaline environment (baking soda). But the sunflower seed mint cookies don’t taste of sunflower seeds, they taste minty and refreshing! 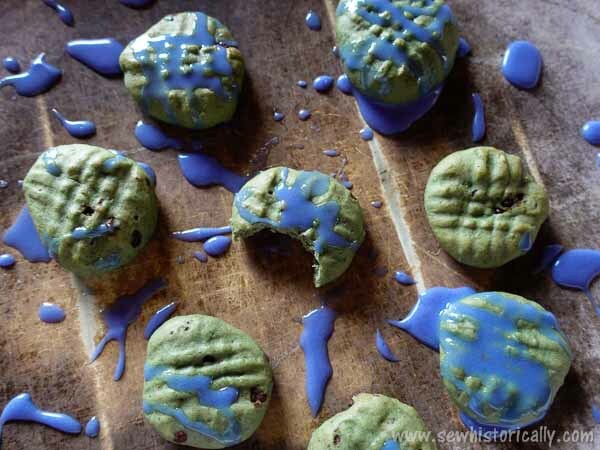 Don’t the naturally green chocolate chip cookies look colorful with the natural blue icing? 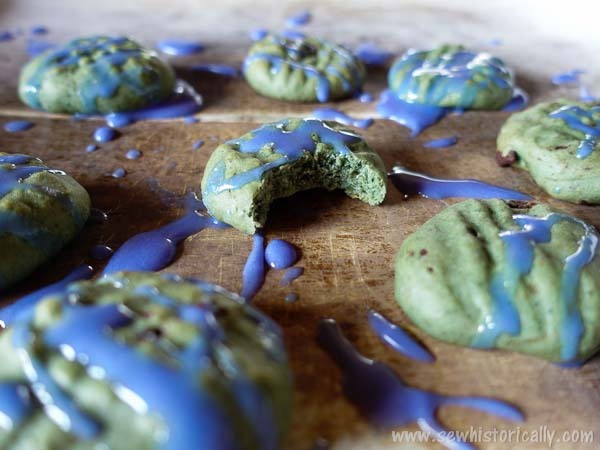 I used butterfly pea flower tea to dye the icing but you can also use homemade natural blue food coloring. 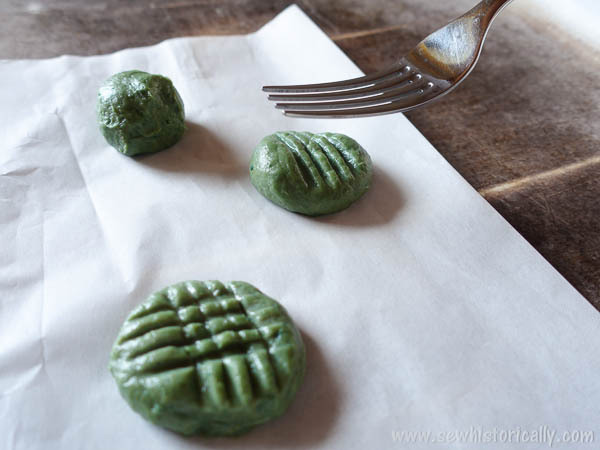 Bake the naturally green mint cookies for about 10 minutes. Pour the boiling water over the blue tea. Steep it for 10 minutes. Remove the tea bag and stir in the powdered sugar. Instead of butterfly pea flower tea you can also make natural blue icing with red cabbage. Don’t want mint-flavored cookies? 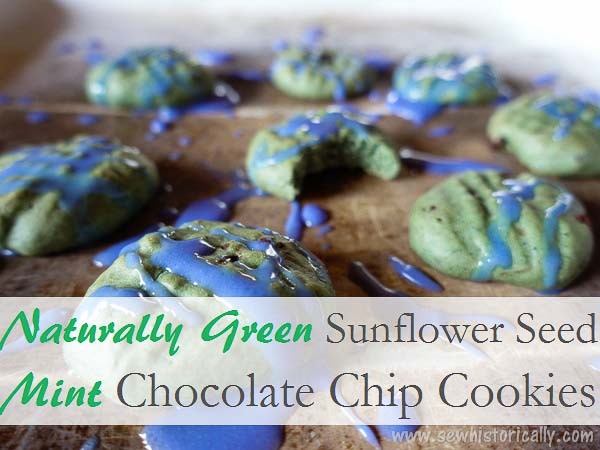 Make Naturally Green Sunflower Cookies instead! 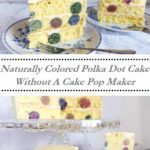 Did I tell you that I adore that you use natural colors in your goodies? If not, I am telling you now.? These look so good and I love mint flavored cookies and chocolates. I am sure these would be a hit at this week’s Fiesta Friday party! Thank you for joining and for sharing! I hope you have fun!? Lol! 😀 Thanks so much, Jhuls! 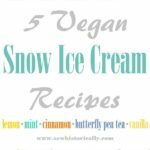 I have become enamored with all of the naturally green sunflower seed recipes I have seen lately! I need to buy some seeds and make some springtime foods! 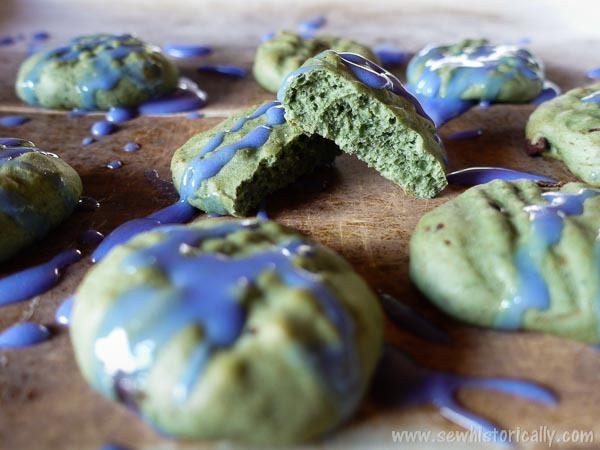 These cookies would be great for earth day with their green and blue hues! 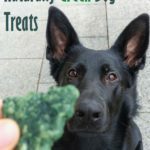 This is my first experience reading about naturally green sunflower seed! What fun cookies (love mint) and thanks for sharing with us all at FF!! Thank you! It’s amazing that sunflower seeds turn green, isn’t it? 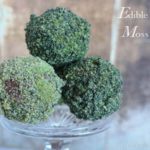 I love the idea of using natural ingredients to color foods. Thanks for sharing at the What’s for Dinner Party! Hope your week is great. Oh wow, I love this idea! It’s so nice to not have to use artificial colours, Lina! Your cookies look beautiful. Pinning. Thank you so much for sharing, and for being a part of the Hearth and Soul Link Party. Hope to ‘see ‘you again this week. Have a lovely week! Thanks so much for sharing your awesome post with us at Full Plate Thursday and hope to see you again real soon! Beautiful cookies – they will be featured at tomorrow’s What’s for Dinner party!